Why Is It Important To Read The Fifth Epochal Revelation? First of all, I think it’s more important to live The URANTIA Book and The Cosmic Family volumes than to just read them. Plenty of people read them with just a “head” or intellectual knowledge of the material but not really knowing God the Father of the book or Jesus Christ Michael, the Creator Son who came to the earth/Urantia, as the Son of Man. Hopefully in reading the revelation, people discover God. But being a Urantia Book reader for 31 years now and attending Urantia Book study groups in southern California as well as Arizona and Pittsburgh, I’ve discovered that many readers have a knowledge of the concepts of the book but don’t really know God—in this case, God being God the Universal Father and Jesus Christ Michael, the god of Nebadon, our local universe. These particular readers read about the Spirit of Truth but have not activated it in themselves. They judge. They are greedy. They are immoral. And they flaunt their Urantia Books like Christians flaunt their Bibles. Being a younger musician, I once went to a record producer’s home in Malibu to see about producing my spiritual music. At that time I was a young “reader” and was excited to share The URANTIA Book with him and his wife. He said to me, “Why do I need this book? I have this beautiful home, a BMW, and I’m well-known in the music business.” I didn’t really have an answer for him at the time, because I actually wanted everything he had, though I had already been a Christian minister and had given up many material things. At the time I was doing every odds-and-ends job I could get, just to keep a roof over my head, while I was trying to produce and do my spiritual music. And I did feel intimidated in that beautiful home. I think by introducing the book to him and talking about Jesus Christ Michael, it actually angered him enough not to help me. You know, you think you’re doing something wonderful, but others may not take it that way. A year or two later, I lived a very simple life for a period of time in a Franciscan community and also a Benedictine monastery and discovered that most material possessions are not important and that you can live without them and be at peace with yourself and God. My first teacher of The URANTIA Book, Duane Faw, lived right up the road from this producer, and Duane lost his home in a fire, but he still had God in his heart and peace in his soul. His faith wasn’t shattered by the loss of everything he owned. This producer would have been, if the same thing happened to him. Many years ago I heard a Urantia Book reader, on the Art Bell Coast-To-Coast radio show, talk for two hours about The URANTIA Book but not one mention of Jesus Christ Michael. When I contacted the producers of that radio show, they wouldn’t let me on, and I think the reason was because that’s mainly what I would have talked about, because to me The URANTIA Book is obviously about God and the Creator Sons, who are the gods of their respective universes. The URANTIA Book is not a “UFO book,” although I understand it’s quite popular at UFO conventions where many Urantia Books are sold. And that’s a good thing if the reading of the book leads the readers to God. Contrary to a popular belief among many UFO enthusiasts that aliens from outer space created man, as I say on my video I have online (http://spiritualution.org/videos/all/ufos-mfls-asses-ets-and-sobs ), God created all extraterrestrial life and all mortal life. I do my best to bring people to The URANTIA Book, but while I’m talking to them about The URANTIA Book, I’m also talking to them about Christ Michael and the Universal Father, because to me that’s how the book begins and how the book ends. It’s wonderful to know the cosmology of the master universe, particularly the grand universe and the 7 superuniverses within it that are populated by trillions of inhabited worlds. But unless you know the Father, all that knowledge is worth nothing, because it’s the Father’s will that directs our lives—at least, it should. But I am most surprised when I talk to people “of faith” who say they don’t pray and ask the Father for guidance in their everyday life—if they should do this or that, or go here or there, and so on. Some people do not even ask God if they should marry this person—you know, the person you’re going to be with for the rest of your life hopefully?! I knew I was getting older when a young person in his late twenties, who was a Urantia Book reader, never heard of Duane Faw (who I mentioned previously). 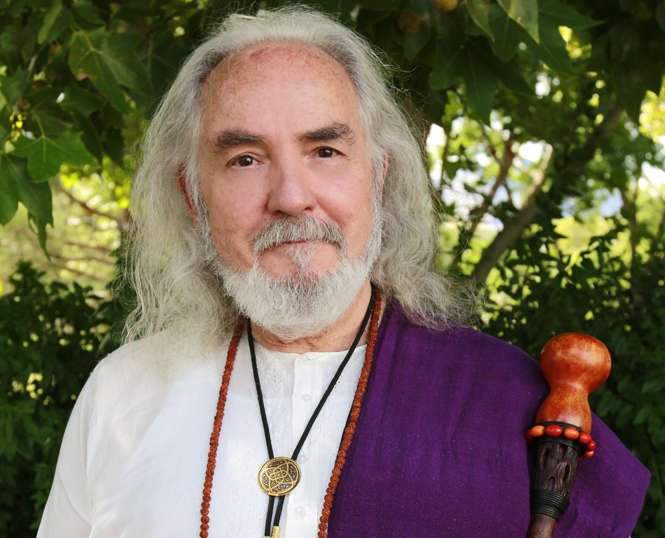 To me, every serious Urantia Book reader should know of Duane Faw, who has passed away. He wrote the Paramony that cross references the Bible and The URANTIA Book—years of work paralleling the truths of the Bible and the truths of The URANTIA Book and where they could be found in each book. His signed copy to me is a treasure in my library. I think that men and women like Duane Faw and his wife Lucy should be iconic figures in the Urantia movement and told about in every study group. Duane and Lucy weren’t Christian fundamentalists, and neither was another well-known Urantia Book reader, the late Reverend Meredith Sprunger, who also believed the Bible had spiritual importance too. The URANTIA Book isn’t considered a book of prophecy, but the Old and New Testaments are. There are verses in books of the Bible that prophesy Christ Michael’s first coming to Urantia, His crucifixion, His resurrection, and many verses and chapters dealing with His second coming. The URANTIA Book has two sections devoted to His second coming, as well as other references, but doesn’t attempt to prophesy the timing of His return, just that He most definitely will. The Bible does give various signs to look for that would indicate His possible imminent return. I’m surprised that many Urantia Book readers don’t believe we are possibly in the times of Christ’s second coming or believe in the tribulation (as referred to in the Bible) that I think is happening now, or don’t even believe in the weather changes that are occurring on the earth and which also are indicated in the Bible. I think it’s because many Urantia Book readers usually don’t read the Bible. I teach my students to read the Bible and have had many classes and teachings from the pulpit on the Bible. We who study the Fifth Epochal Revelation must be careful that we do not disregard the truths of other religions, because basically The URANTIA Book is a “new kid on the block,” only published since 1955, and the continuation of it, part of which is found in The Cosmic Family volumes, only published since 1991. (Note, CFER comes also through personal and community transmissions as well as through transmissions for the Elders of Divine Administration). So we must be careful we don’t get too self-righteous in our knowledge of the Fifth Epochal Revelation and alienate other people of faith who have experienced the presence of God in their own lives. I emphasize again, those evolutionary religions and their sacred texts do not contain all truths, but they absolutely do contain truth in them. And the Spirit of Truth helps the sincere seeker to understand what one reads in the Bible or any scriptures. The Spirit of Truth doesn’t differentiate between the Bible and other scriptural books, contrary to what Christian fundamentalists may say. The Spirit of Truth is for all humankind of all religions. Some Urantia Book readers might think that only people who read The URANTIA Book use their minds or are intelligent or reach the first mansion world if they know Jesus as Michael. Others, of course don’t think so narrowly. In the first century, Jesus’ own apostles didn’t think that gentiles could be “saved,” and they had to be corrected by Jesus many times. They thought that the teachings of Jesus and salvation were only for the Jews, since all His apostles were Jews. When Peter, Andrew, and the motley apostle crew finally got their act together, they realized that salvation was for all humankind. The Fourth Epochal Revelation, Jesus Christ Michael, was about the Fatherhood of God and the brotherhood/sisterhood of humankind. It wasn’t about doctrines or ecclesiastical rights and wrongs. It was about love—love for God and love for your brothers and sisters. It was about the virtues of God. It was about the understanding of one God. Jesus Christ Michael didn’t teach His apostles about the master universe and the mysteries of the cosmos. He taught them about virtues, about breaking away from legalistic religiosity, about not living by the letter of the law but living by the grace of the law. Lucifer knew all about the inhabited grand universe and its physical cosmology, but he failed to live up to one simple law: the law of love, the law of humility. He became proud in his knowledge of everything—particularly God’s physical master universe—but lost the simplicity of understanding in the love of God for other sentient freewill beings. Yes, in an ultimate higher world that has never defaulted, there is only one religion: the religion of love, the understanding of one God, who created all of His creatures different yet equally loved—some more mindal, some with three brains, but equal in the sense of being God’s beloved creatures. True knowledge should go hand in hand with true humility, for the more you know, it should help you to understand how much you have to learn and that each answer should only lead to another question. When I was in theology school in Duquesne University there was an assigned book we were given called Your God Is Too Small. 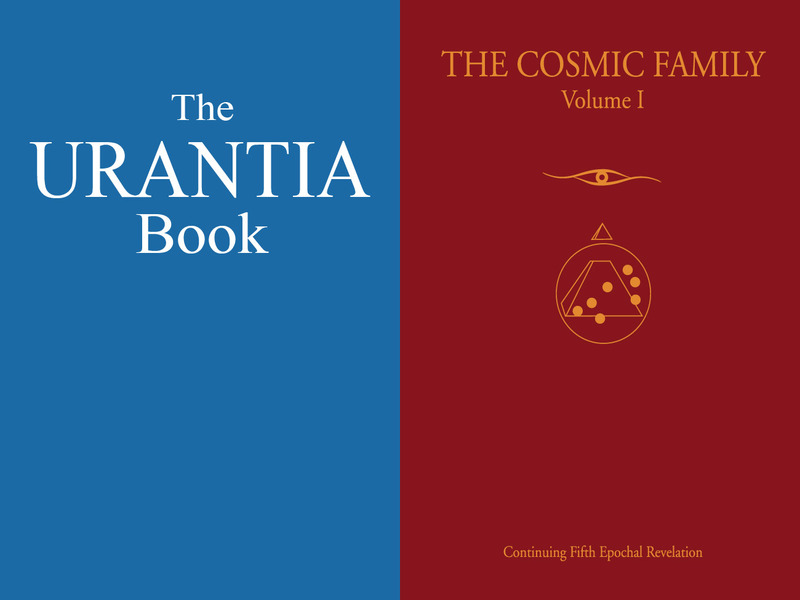 The URANTIA Book as well as The Cosmic Family volumes have helped me to realize God is bigger than I could ever have imagined. The more I understand of the Fifth Epochal Revelation, the more I realize how much I have to learn. The more I understand the bigness of God, the more I thank Him for His grace that He has bestowed upon my failings and shortcomings, which helps to make me a more compassionate soul. Paladin, the finaliter, said that it’s better to have one ounce of wisdom than a hundred billion pounds of knowledge. And the same applies to one ounce of virtue to a hundred billion pounds of knowledge, for with wisdom should come virtue. Wisdom also comes with experience. The older the soul is, the more wisdom that can be gained, the more virtue the soul can have. The 700,000 local universes (of the grand universe) have trillions of inhabited worlds. And within a general overall blueprint, all Creator Sons have a unique ascension plan for their individual universes. Nebadon has the seven mansion worlds for ascending new souls of their respective planets, as do the other universes. But some Creator Sons send some of their transcending souls to other planets within their universes, which are higher worlds, and even to other universes. And in some universes, some souls who particularly have fallen into rebellion are sent to lower worlds where the rebellion first occurred. Urantia just happens to have souls from three other universes, called starseed (also called ovan souls), to experience first-hand what it’s like to live on a defaulted world. But it’s all part of an ascension plan. When I refer to the Fifth Epochal Revelation, I’m speaking of both The URANTIA Book and The Cosmic Family volumes—for one truly goes hand in hand with the other, because this decimal planet called Urantia, this experimental planet in the outermost regions of the superuniverse of Orvonton, is a very unique planet indeed that has seven cosmic families from four universes. And what are those seven cosmic families? I guess you’ll have to read the continuation of The URANTIA Book, the Continuing Fifth Epochal Revelation, to find out.